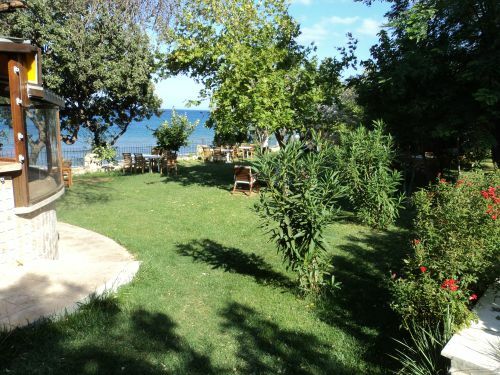 The Troas Beach Hotel has to be one of the nicest places to stay along this coastline. 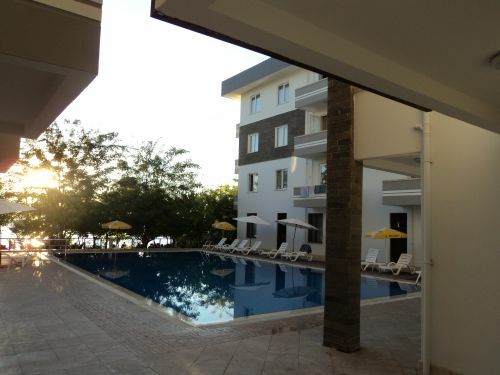 We recently bought a house in Tavakli village which needed renovation and since this hotel is right on the beach in Tavakli Iskelesi it was one of the most convenient locations we could have chosen. 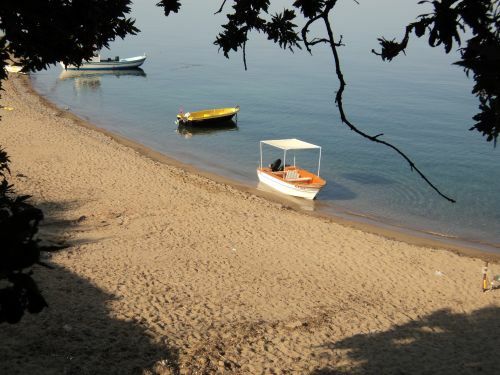 The beach is very clean and the crystal clear waters of the Aegean are the first thing you see when you turn up for breakfast in the morning. Above is an actual view of the beach from the restaurant which consists of a well designed terrace on stilts surrounded by a beautiful and well kept hotel garden. Half board at this hotel is about as good as it gets anywhere. Having stayed at numerous good quality hotels around the world this simple and yet tasteful establishment could give many of them a run for their money. The photos here were taken at the end of August at a time when most places in Turkey would be pretty scorched and the grass would be brown and dried up. However, the abundance of water in this region, the skills of a good gardener and a clear desire on the part of the hotel to create the perfect environment have all paid off to make any stay here a very pleasant one. Despite its location right on the beach the hotel still has its own pool which is meticulously maintained and which always looks so clean and inviting. A games / television room adjacent to the pool provides a place to chill out and relax if you need to go indoors. 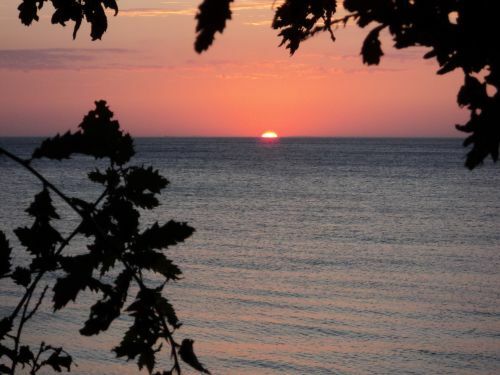 This hotel has an appeal that will suit families, couples or single occupancy visitors. 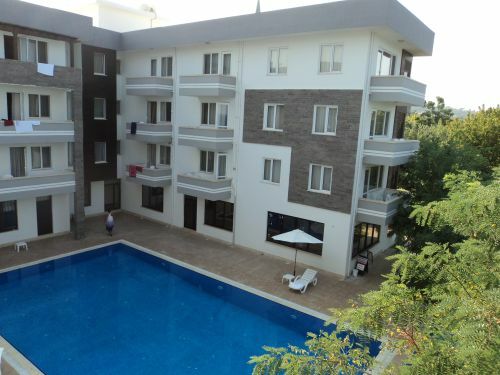 It is in an enviable location for those on honeymoon, for people who want to explore this beautiful region of Turkey or just a great place to chill out for those escaping the big cities. 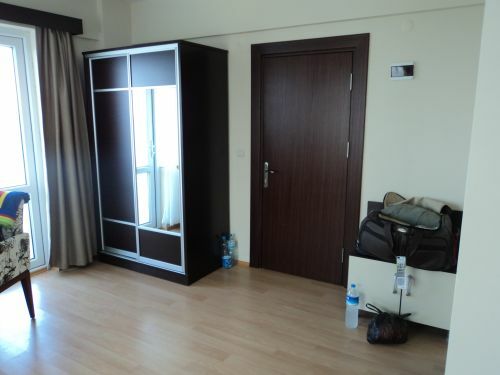 The rooms here are modern, light and spacious. The bathrooms are tastefully decorated and the rooms have balconies and air conditioning. The light and airy atmosphere and simple modern furnishings add to the ambience of the surroundings. This hotel scores highly in so many ways. The food both at breakfast and in the evenings is buffet style but varied so that over a period of a week you still find it interesting enough to enjoy it as much as the first day you arrived. However, what really makes this hotel special is the staff. The chambermaids smile, the waiters and assistants run around constantly trying their best to make their customers feel special and the level of service is actually better than what you would receive at many 4 or 5 star hotels. 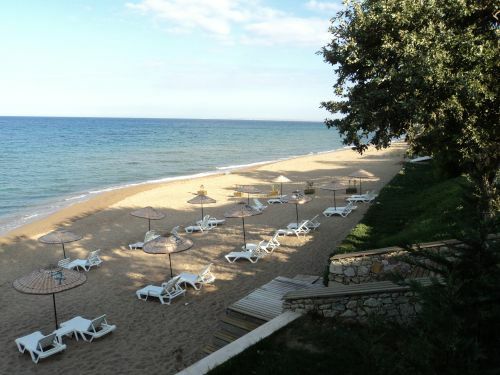 Would we recommend the Troas Beach Hotel? You bet we would. 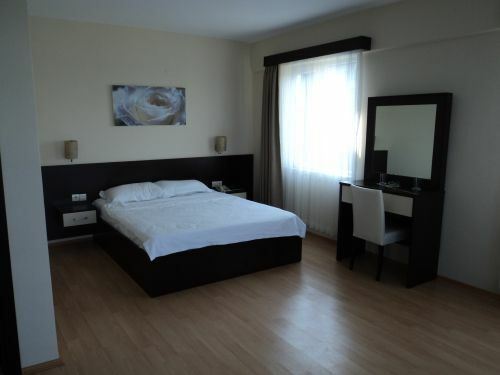 You will search high and low to find accommodation as good as this and at such a reasonable price for what is on offer. 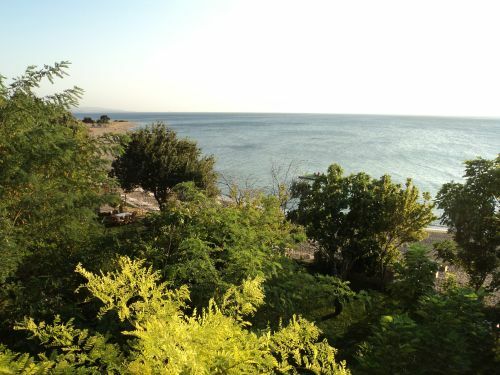 Troas Beach Hotel is located by the sea in Tavakli Iskelesi of Canakkale. We have 37 standard and 3 suit rooms. Once upon a time, the biggest ancient city of Anatolia, Alexandreia Troas is situated 7 km from our hotel. 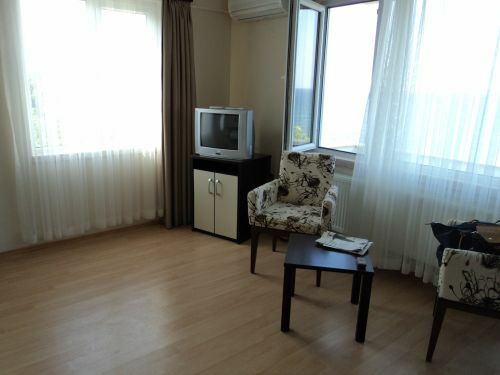 All of the rooms have sea view and designed to meet all your needs .